The Man of Steel Superman costume is a perfectly fine rendition of Superman’s classic look, if a little muted in color. But somewhere in an alternate world Henry Cavill took to the silver screen in the classic Superman costume of the original comics, just like Christoper Reeve, and I bet it looked as fantastic as this image teases. The shot of Cavill comes from Snyder’s account on the social media app Vero, where the director is wont to share many cool tidbits from behind the scenes of his various DCEU movies. 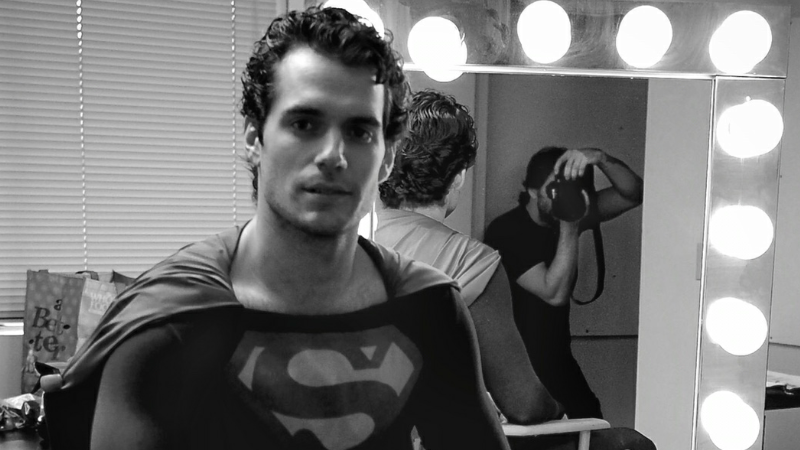 It was taken during Cavill’s first screen test for his first Superman movie by Snyder, before the final Man of Steel costume was actually completed. So admittedly, Snyder’s black-and-white filter is probably hiding a lot of unflattering details about how this old costume appears in high-definition. In today’s cinematic world, it likely wouldn’t fly as a good-looking piece of costuming. But I almost don’t care. Cavill looks so great in it, I want to see a movie where for some reason he has to ditch his current fancy suit and run around in this one for a bit. It’s a pitch-perfect rendition of Superman in the flesh, even if a little hokey by today’s standards. Hopefully at some point Snyder releases shots from the screen test of this in color. I want to see if it still works in the full on red, blue, and yellow—but I’m willing to bet already that it’d look pretty damn super.